Welcome! We are dedicated to offering our patients the highest quality care available by utilizing the most effective treatments and techniques. You will quickly become a welcomed member of our family of satisfied patients. 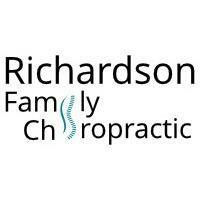 We treat a wide variety of conditions using the best traditional Diversified Chiropractic technique. It is our desire to give you the best care possible in the friendliest office in the Coachella Valley. It is one of our top priorities to protect the well-being of our valued patients. We are confident that you will feel right at home in our office, as we welcome all patients as if they were family.